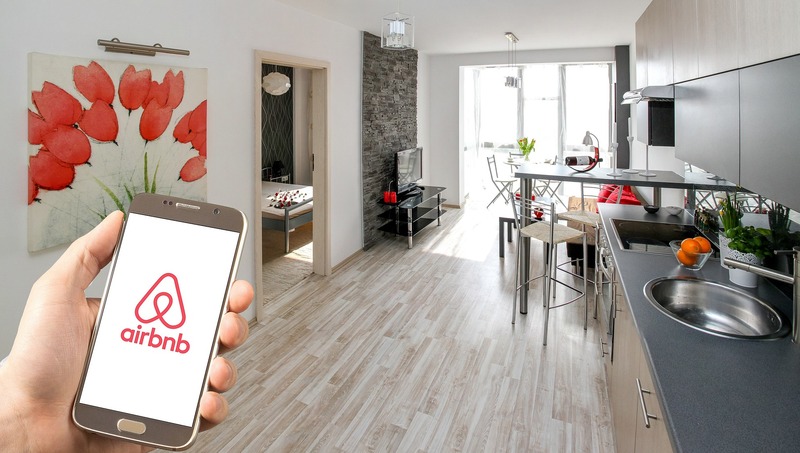 A bill with the backing of 57 Arizona lawmakers from both parties aims to add new regulations to short-term and vacation rental properties, like those rented through popular online rental websites AirBnB and VRBO. House Bill 2672, sponsored by Rep. John Kavanagh, R-Fountain Hills, adds restrictions on the number of people allowed in a short-term or vacation rental property and would require the installation of security equipment, among other additional regulatory measures. Laura Rillos, a spokeswoman for AirBnB, said the company is currently reviewing the bill. “It’s important any new laws do not impose unnecessary, onerous requirements on our Arizona hosts, the vast majority of whom are sharing the homes in which they live in order to earn meaningful extra money,” Rillos said. “This would be the lightest regulation of any state in the country,” Kavanagh told the Arizona Mirror, adding that other states should look to this bill as a model. If passed, properties would be restricted to “not more than two adults per sleeping room,” as well as having a restriction on the number of people who can be on the property until 10 p.m. The law would also require owners of the property to provide contact information with the county for “responding to complaints at any time of day.” Additionally, the bill gives the Department of Revenue the ability to request tax information on those properties. The goal, according to Kavanagh, is to rein in the “major abusers” who will host parties and large events in properties that are not meant for that. The bill also says short-term and vacation rental properties cannot be used for retail, restaurant, banquet space, event center or other non-residential purposes. Any law enforcement agency in the state would be given the ability to get confidential tax information from the Department of Revenue on a short-term or vacation rental property; currently, only the attorney general has that power. It stipulates that an online lodging operator must include the transaction privilege tax in sales and advertisements, and failing to do so can result in fines of up to $1,000 per violation. Any online lodging operator found to be in violation could also have their transaction privilege tax licenses revoked by the state. If a property gets two verified violations in a six-month period, it would result in its license being revoked for 60 days. If there are three additional violations in a 12-month period, the license would be revoked. AirBnB already collects transaction privilege taxes, as well as county excise tax and local transient occupancy taxes in Arizona. Proponents of companies like AirBnB say it drives competition, while others say the company increases rental costs. A study by researchers in the Netherlands found that areas of Los Angeles with regulations in place drove down local rental and housing costs. The security equipment requirement is being eliminated. The entire bill is redundant and government overreach. There are already laws in place that cover noise, traffic, trash, and using private property for commercial use. The state enjoys more than 20 billion dollars in tourism revenue annually. How is the State going to bring in that kind of money if it restricts how many people the city can accommodate? How is this going to impact economic growth and jobs? This industry creates thousands of jobs from housekeeping and restaurant workers to Uber drivers. Wondering if Mz. Castleberry could possibly be a Short Term Rental owner/operator? It seems on reading the “ABOUT US” statement below that nothing improper has been written in my comment, have I missed something? Please advise, and thank you for this platform/site. To Rep. John Kavanagh: it’s a genuine shame how your helpful Bill has been somewhat, somehow neutered! Not a whole lot left of original, it seems, but a lot of us citizens/taxpayers are aware of the “processes” a proposal/bill suffers through before ever seeing the bright light of day in its’ somewhat adulterated state. As the olde saying goes “You don’t want to see sausage or legislation made”! We do Thank You for all of your efforts to help the people and the State overcome this onerous STR ever-growing Rental situation gone wild, promulgated and promoted and sustained by AIRBNB . HB 2672:The peace, privacy, safety and property values to the surrounding areas of these resident/businesses are at stake with this grab for money scheme at any cost to the citizens who buy, to live as a resident, in a neighborhood that they call HOME. Home by definition is separate from a BUSINESS. Even ASU got rid of the “frat House”! To water-down the rules & regulations of the bill’s intention which should be to tighten up this egregious ability to exploit a residence is defeating the purpose. It’s a known fact, this mess is out of hand and it is going to get worse! The accountability factor can not be overstated! Flagstaff, AZ and other town communities like Sedona are feeling the many ill-effects of the Short Term Rental boom in our Single Family Residence, previously quiet and serene neighborhoods. I could go on at great lengths to enumerate the insulting by-products of these neighborhood Motel 6’s, not to mention the lowering of our property values to our HOMES, our investments in a nice neighborhood of single-family residences. The illegal, violating property owners, some of which are hidden in LLC’s or Investment Holding Co.’s could not care less about the majority of law-abiding taxpayers who are unknowingly contributing to their support thru the various loopholes in County Property Tax Laws and Rules that are being utilized by the money-grubbing SRT owners/operators. They somehow operate their business enterprises in residential zoned areas with impunity and without prescribed $$$ fines and punishments. Here in our Flagstaff Continental Country Club HOA of 1,217 Members, we have been battling against these illegal, CC&R Restrictions Violators for more years than I would hate to admit! With NO positive Compliance Actions taken thus far by our HOA Board of Directors and Staff who have a legal Duty and Responsibility of enforcing and upholding our Declared and Recorded, with the Coconino County Recorder years ago, the CC&R’s; a legal contractual Agreement. Hoping for a turning of the tides in the near future before AIRBNB writes and enacts more legislation in our Capitol with their multi-millions of financing and wherein they exercise monumental power and intimidation and corruption of our Democratic systems of Laws, etc., etc.,etc….which AIRBNB has done previously as in the bogus law signed into law by dear Governor Ducey in 2016 that bans any entity of government, city or county, from enacting any ordinance or law that would cost good ole AIRBNB any business income, which is extremely huge over many years in existence. The legislators in Phoenix were most definitely sold (or bought) a bill of goods that resulted in the numerous resulting conflicts and terrible difficulties now faced by cities and communities all over the state of Arizona. Some sort of new ” repair Legislative” action desperately is needed and loudly called for immediately!